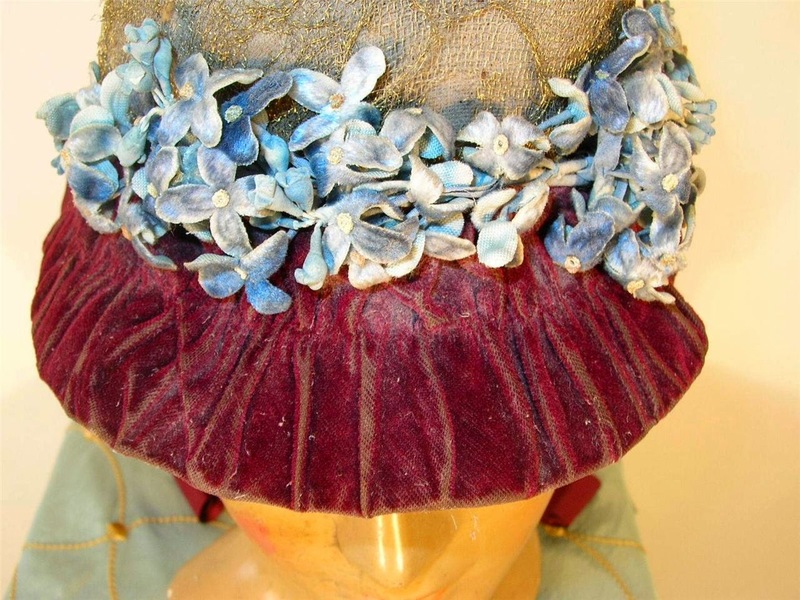 This lovely bonnet dates from the 1880s. 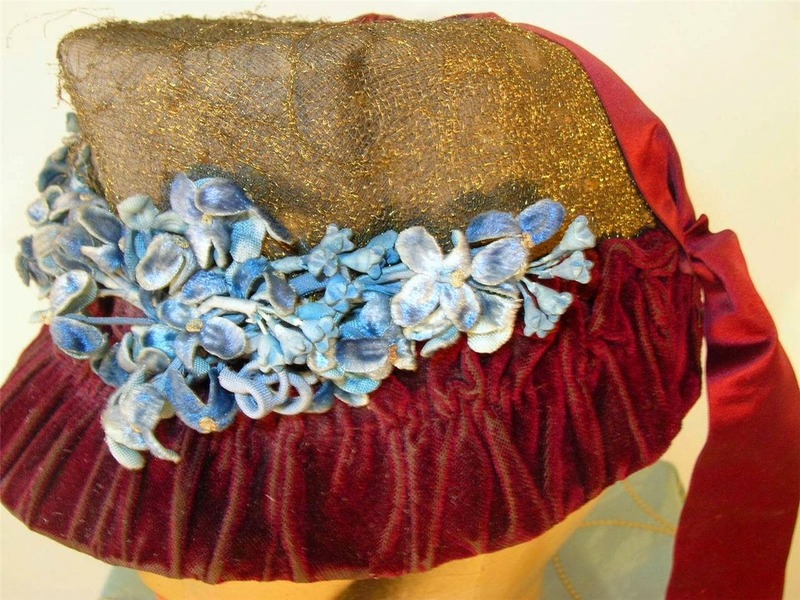 It is made of a woven base structure that is covered with fine metallic gold net lace accented with burgundy red velvet. 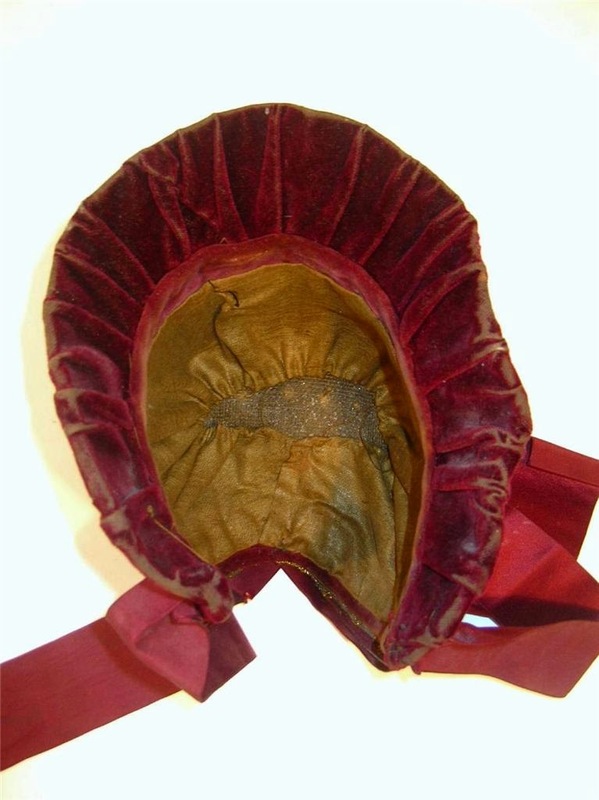 It has two burgundy silk ribbons ties. 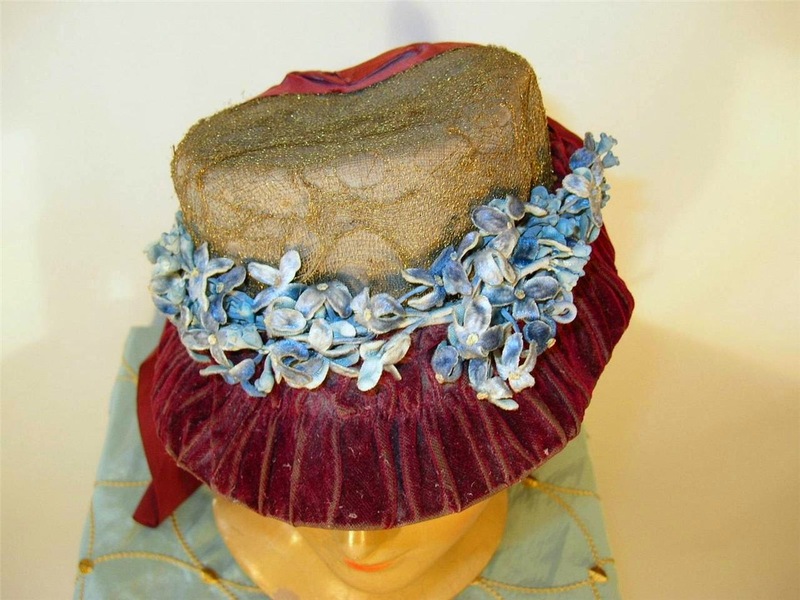 The front is decorated with sweet blue forget-me-not blossoms. 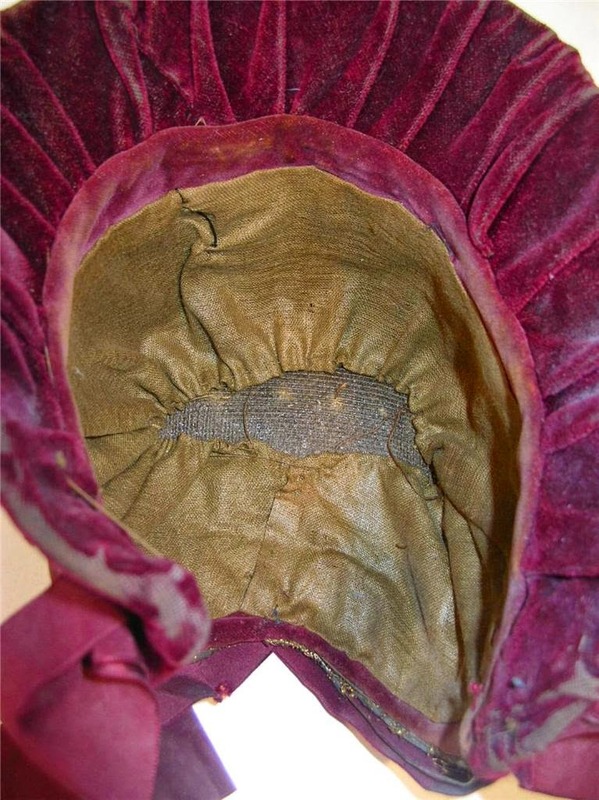 In very good vintage condition: there is a bit of wear to the velvet. 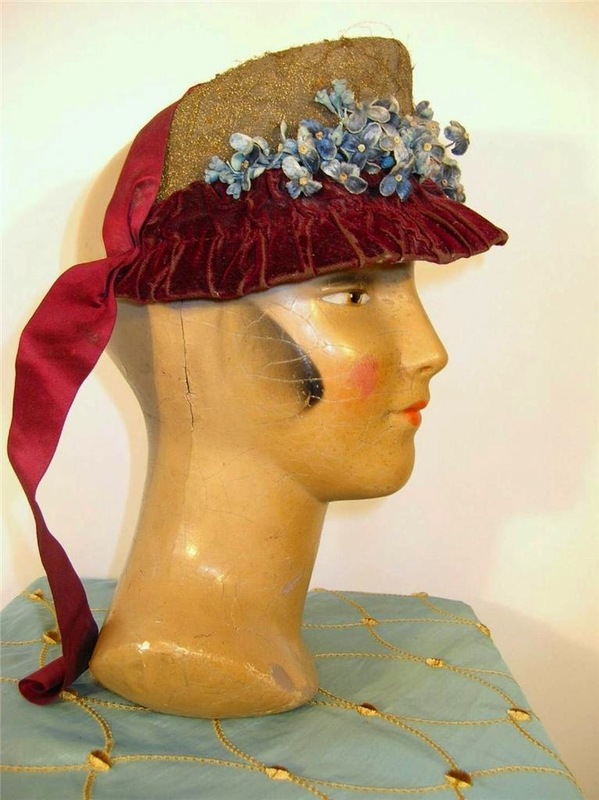 This hat is a very small size as is typical with authentic Victorian hats. 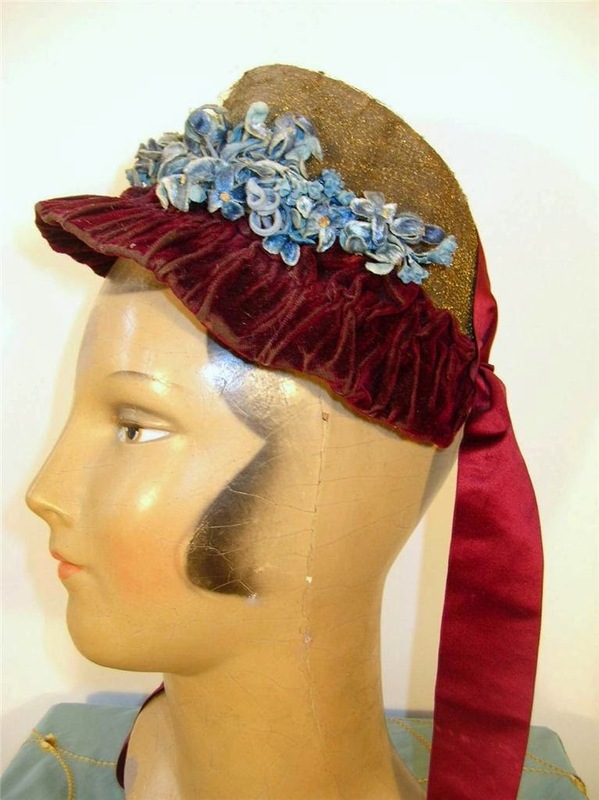 Based on the brim and the flower placement, I think this is 1870's. 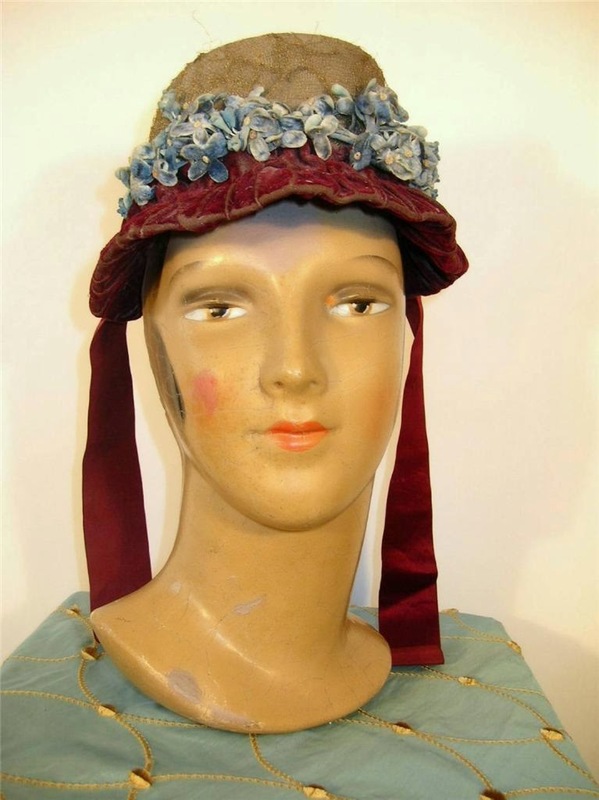 Either way, it's a bustle era bonnet.